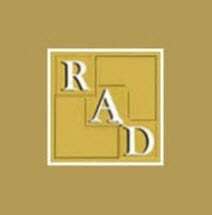 Rosado, Apat & Dudley, LLC, was founded in 1995 with the objective that Hard Working People Deserve Hard Working Lawyers. We are a full disability firm representing injured workers and disabled persons in Workers' Compensation, Social Security Disability/Supplemental Security Income, and Disability Pension Law. In addition, we represent doctors and other health care providers in No-Fault Collections. We can also help you with other legal matters. To better serve you, we have offices conveniently located in the New York Metropolitan area and Long Island. At Rosado, Apat & Dudley, LLC you will always meet with an attorney who will evaluate your case and provide you with comprehensive legal advice. Our staff is committee to providing our clients with one on one attention, timely communication and immediate problem solving. Many of our attorneys and staff are fluent in Spanish. The firm's commitment to our clients is unmatched and the key to our success is that we strive to diligently and expeditiously resolve your claim and obtain the maximum benefits you may be entitled to. Because of our experience and commitment to the disabled worker and health care providers we have regularly been called upon by many charitable groups, labor unions, medical and legal associations to educate and assist them.